Your Christina Meyer Sustainable Wood Product floor will be painstakingly made from the very best oak, ash, hornbeam, walnut and beach, and comes unfinished or pre-finished to a high standard of specification using a broad range of natural oils, waxes, varnishes and lacquers. Whatever your taste, we can supply a floor that fits in perfectly - with a full spectrum of natural wood shades, plus stunning grey, white or jet black to make a bold design statement. Whatever your budget we have a FSC floor to suit your needs whether solid European hardwoods such as oak, exotic timbers such as Jatoba or our range of engineered floors. 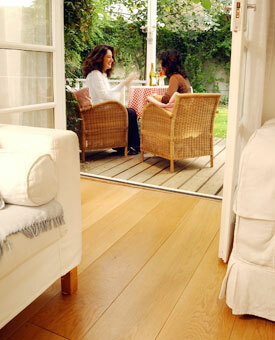 All our flooring comes from FSC certified sources indicating that it comes from well managed and controlled sources.